If a qualified default investment alternative (QDIA) is supposed to help employees, how can it increase your fiduciary risk? 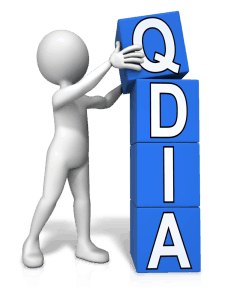 The QDIA is supposed to go under a due diligence screen similar to your other investments. 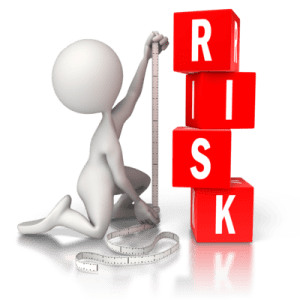 This screen is your fiduciary liability unless you transfer the risk to a financial professional that takes on the risk of its selection, monitoring and replacement. Many financial professionals and the press say that the target date strategy is the most popular. They often then rush to recommend its use. However, what is it? And what are the other two choices? A balanced strategy is categorized by a mix of bonds and stocks typically split 50-50 between stocks and bonds. Many of the strategies have been around for a long time so one can get some sense of how they’ve done in good and bad markets. Ideally there has also been a change in who has been managing that strategy so you can see if a strong succession plan is in place for its management. Michael Falk notes that “A balanced-style, global, multi-asset class approach to investing is simply the more elegant solution.”1 He also cites Harry Markowitz, Nobel Prize winner for Modern Portfolio Theory split his allocation 50/50. What could help investor nerves is that the 50/50 split is based on a history of stocks and bonds moving in opposition. If you heard that the stock market was down, you would be mentally comforted assuming the bond market was up. Of course, past performance is no guarantee of future results. The balanced approach could use investments from one company or investments from a multitude of companies. It is relatively simple to develop a benchmark comparison for your investment policy statement. You could pick the blended return of 50% S & P 500 and 50% MSCI Bond. A risk-based strategy could be all stock and no bonds 80% stock and 20% bond and varying increments down to 100% bond and no stock. The concept dates back to Harry Markowitz’s Ph.D. work which was later given a Nobel Prize. Harry Markowitz work proposed varying the percentage of stocks and bonds to create varying portfolios that were ideal in risk and return. One can simply pick a strategy that fits one’s own risk and return profile. You could choose one based on the demographics of your employees. For example, if they are older you may make it 40% bond/60% stock. There are many considerations that should be considered with a credentialed retirement plan advisor/consultant. The target date strategy has become the go to choice for many companies. It benefits from the “everybody’s doing it” effect. 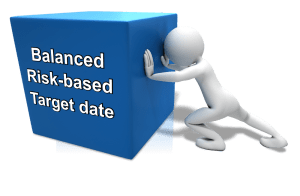 The target date strategy takes the target risk strategy and adds an additional complexity referred to as a glide path. An institution makes a decision on rate of decrease in market risk one should experience as they age. Essentially imagine stacking Harry Markowitz’s portfolios next to each other in descending order. However, no one has won a Nobel Prize for glide path. In fact, Falk highlights a body of evidence that argues for actually increasing risk over time. Within currently available options, there are two schools of camp regarding how that profile should decline. Some believe it should be “to the retirement date” of age 65 others through the retirement date into some time In the future, say age 80. Which one should you pick? That makes comparing two target date strategies difficult when they may have different glide paths. Even amongst strategies that can be categorized in either of those two camps there is not universal agreement on how the risk should decrease. How do you communicate your choice to your employees? This is especially important if you switch from one strategy to the other. These strategies aren’t free. What additional costs are being debited from your employees’ accounts to pay for the glide path work? How do you compare target date strategies? With their make-up, a simple index benchmark is insufficient to compare the moving parts of these strategies. The concept of a default choice was to help a majority participants make better allocation decisions than they had previously been experiencing. That being said, one should consider the demographics of your company. If you have participants that are twenty-something’s, a target date may be a good choice given that they can benefit from the higher stock allocations in the early years. However if you have 50 something’s with low balances a target date may not be a good choice because they may not have the potential to benefit from the higher stock allocations as the glide path is more conservative for employees in their 50s. It is a one size fits all approach that may not fit. I am biased towards risk-based models. My bias is based on believing that employees are better served with a one-on-one advice and education program that leverages the simplicity and flexibility of risk-based models. Properly advised they can decide whether to save more, retire later, take on more risk or retire on less. It’s important that you educate your employees on your default choice and how they may benefit. No matter your QDIA choice, unless you have a properly vetted and monitored ERISA 3(38) investment manager, you remain primarily liable for the choice. You may want to read the Department of Labor’s press release on your QDIA responsibility. Alternatively, give us a call and we can provide an investment risk review. (2) No strategy assures success or protects against loss. Stock investing involves risk including loss of principal. Bonds are subject to market and interest rate risk if sold prior to maturity. Bond values will decline as interest rates rise and bonds are subject to availability and change in price. The Barclays U.S. Aggregate Bond Index is an index of the U.S. investment-grade fixed-rate bond market, including both government and corporate bonds. All indices are unmanaged and cannot be invested into directly. Unmanaged index returns do not reflect fees, expenses, or sales charges. Index performance is not indicative of the performance of any investment. Past performance is no guarantee of future results.